The Battle of Quebec was an attempt on December 31, 1775, by American colonial forces to capture the city of Quebec, drive the British military from the Province of Quebec, and enlist French Canadian support for the American Revolutionary War. 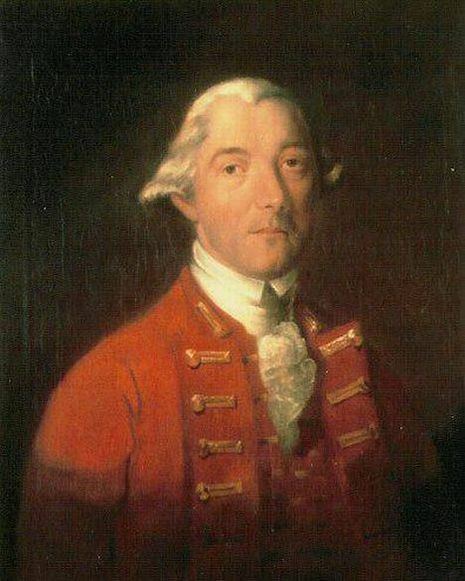 The British governor of Quebec, General Guy Carleton, could not get significant outside help because the St. Lawrence River was frozen, so he had to rely on a relatively small number of regulars along with local militia that had been raised in the city. Two Quebec-bound expeditions were undertaken. On September 28, 1775, Brigadier General Richard Montgomery marched north from Fort Ticonderoga with about 1,700 militiamen, besieging and capturing Fort St. Jean on November 2 and then Montreal on November 13. 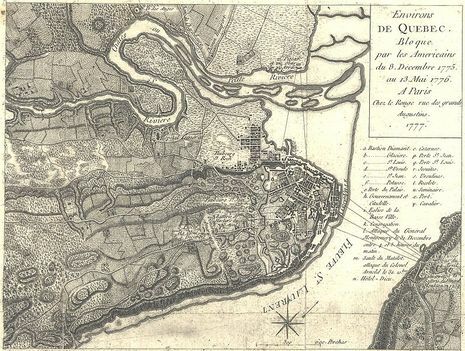 General Carleton escaped to Quebec City and began preparing that city for an attack. The second expedition, led by Colonel Arnold, went through the wilderness of what is now northern Maine. It was a logistical nightmare, with 300 men turning back, and another 200 perishing due to the difficult conditions. By the time Arnold reached Quebec City in early November, he had but 600 of his original 1,100 men. Montgomery's force joined Arnold's, and they attacked Quebec City on December 31, but were defeated by Carleton in a battle that ended with Montgomery dead, Arnold wounded, and over 400 Americans taken prisoner. The remaining Americans held on outside Quebec City until the spring of 1776, suffering from poor camp conditions and smallpox, and then withdrew when a squadron of British ships under Captain Charles Douglas arrived to relieve the siege.